Perfect for both men and women, this emollient balm is made up of naturally healing skin repairing oils & butters. The added soothing & antiseptic essential oils are a versatile combination to restore & heal all-weather exposed skin, general dry skin, rough worker’s & gardener’s hands, eczema, minor cuts, burns, & bites. 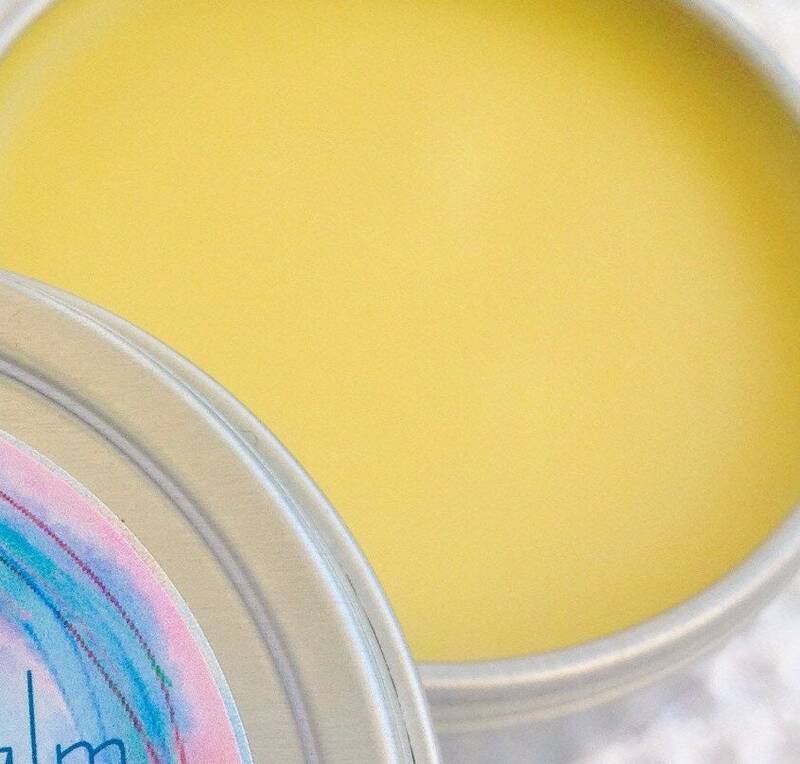 This organic miracle salve also acts as a great cuticle cream and is a great moisturizing lip balm!! 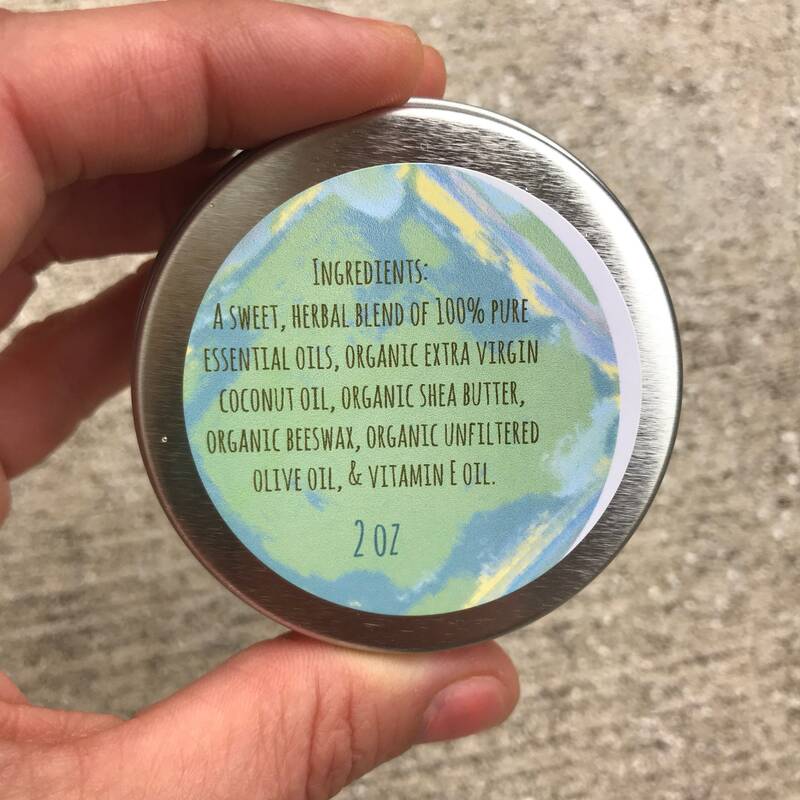 Ingredients: A sweet, herbal blend of 100% pure essential oils, organic extra virgin coconut oil, organic shea butter, organic beeswax, organic unfiltered olive oil, & vitamin E oil. 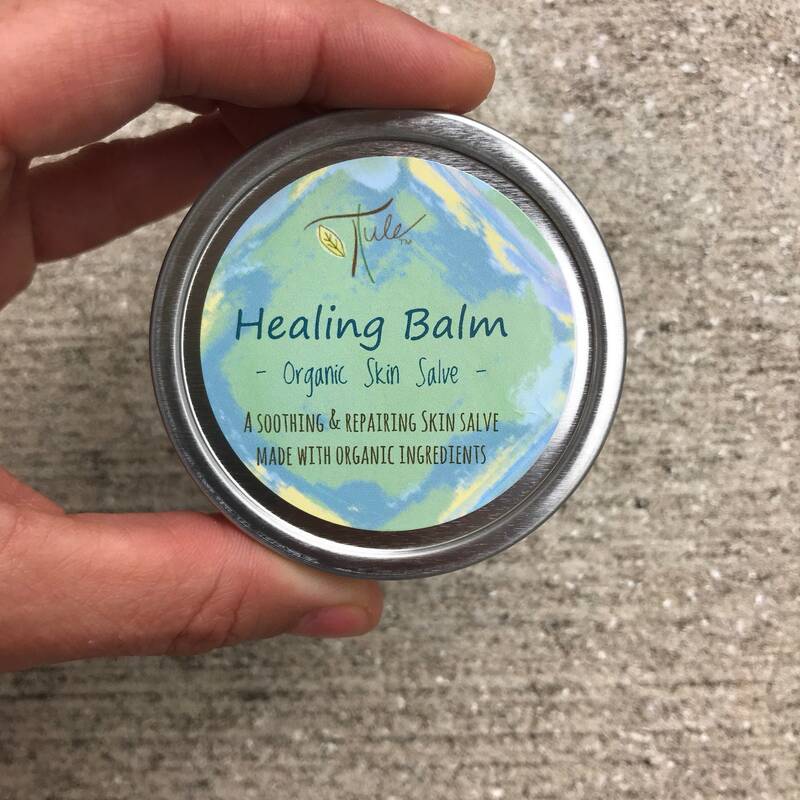 The Healing Balm also comes unscented (without the added essential oils), which is a great choice if sensitive to scents or pregnant. Love their products. Great for dry skin. I have one that I carry with me!!! And bought another for my kids to use on dry skin, rashes or just because. This has been awesome to have during the cold days of winter. Rehydrates my hands especially the cuticles as well as my wine burnt lips. Works great on the soles of feet and dried out elbows. I keep this in my purse and use when my skin feels dry!! As a professional chef I have my hands in water all day. They, especially in the winter, get extremely dry. The skin becomes itchy and even develops small open cuts that hurt. If I get lemon juice or salt in them it is even worse! At the end of a long day this balm is extremely soothing. I am grateful it is available!